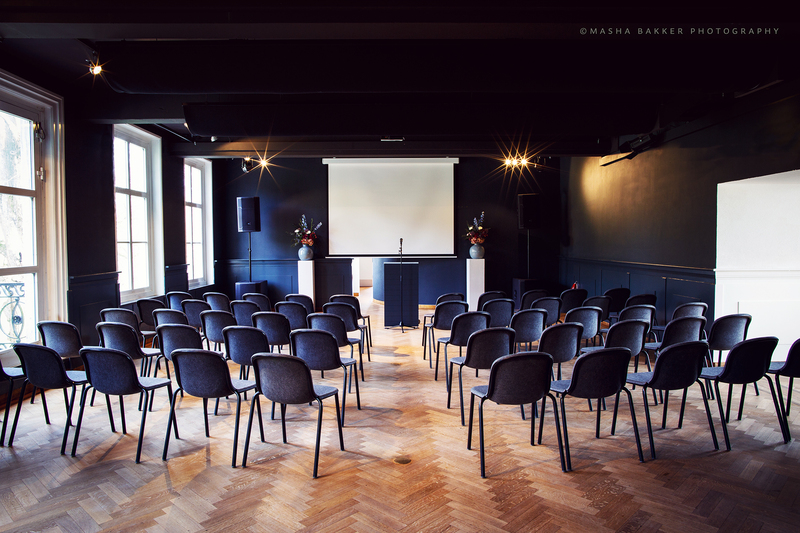 Stadsvilla Sonsbeek is also an excellent place for a business guest to organize a meeting. Located on three different levels, you have access to different rooms, one of which will always be suitable for the type of meeting you have in mind. Whether this is a board meeting for a select number of people or a large-scale seminar / congress; we have the spaces and the means to facilitate this for you. In terms of atmosphere, the rooms are decorated in such a way that you will always feel at ease and can create a very productive day. If it is necessary to get some new perspectives, you can of course always take a walk in the most beautiful city park in the Netherlands. Regarding lunch, drinks and / or dinner you are also at the tght place. If you see lunch or dinner as a refreshing stopover in your meeting, you can use one of the rooms on the ground floor or (in good weather) on the terrace with a view of the city. If you would like to continue your meeting during lunch or dinner, we offer spaces where you can continue the meeting undisturbed. Also (and not unimportantly) our accessibility is very good. When you arrive from the highway, you are in close proximity of Stadsvilla Sonsbeek. Arnhem station is a 15-minute walk away; note: this (short) walk takes you through one of the most beautiful neighborhoods in Arnhem and a small part through the beautiful Park Sonsbeek. Request a free quotation or contact us to make an appointment and discuss the various options.